Complete unit ready for operation, consisting of 12 or 24V DC pump. Frame with anti-corrosion treatment, aluminum gun and counter with partial and total reading with manual reset in diesel-resistant plastic. Pump with built-in by-pass system. Ideal for the supply of diesel oil in agricultural machinery, tractors, etc. 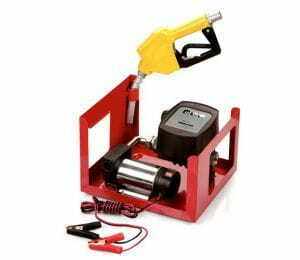 To supply diesel to any application where a liters counter is required.